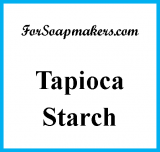 A marvelous tapioca starch based product used to create a "dry fragrance" for powders by absorbing the essential or fragrance oil. It dissolves instantly in water. Sold by the half-pound. This is tapioca starch that has been treated to allow it to absorb oils and dissolve in water. It can absorb up to 20% of it's weight in liquid and still stay in a powder form; even up to 50% and still not get "liquid". 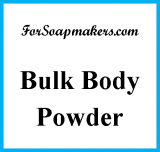 In body powders it can used to create a "dry fragrance" by absorbing the essential or fragrance oil, making it easier to disperse into the powder without lumping or clumping. 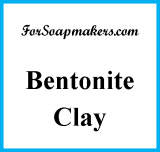 It will, however, change the feel and flow of the body powder, so be sure to test first to see what ratios you prefer. In bath products, Dynasorb-X can be used to absorb scents or oils into a powder form which will dissolve on contact with bath water immediately releasing the scent or oil. Products containing Dynasorb-X should be packaged in air-tight containers as Dynasorb-X tends to absorb moisture from the air which will change the consistency of the product. 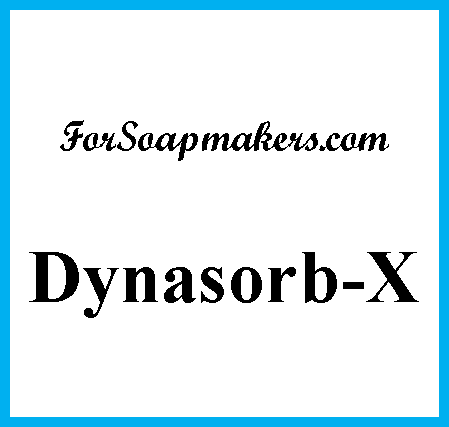 Dynasorb-X is virtually identical to the similar product called "Natrasorb Bath"
See the article on Formulating Body Powder for Dynasorb-X usage tips and information on blending powders.